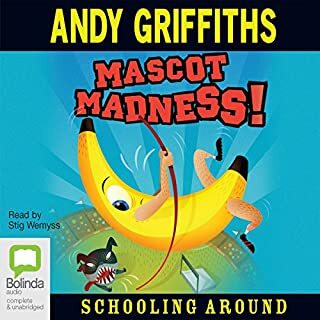 Andy Griffiths is one of Australia’s most popular children’s authors. He has written more than 25 books and is best known for the books in his Treehouse series which have sold more than 2.6 million copies in Australia. 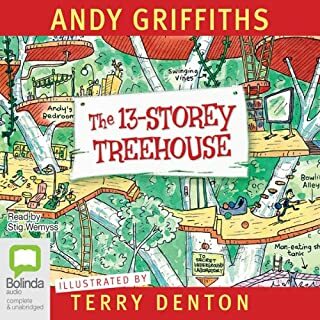 Introduce your children to the hilarious worlds created by popular children's author Andy Griffiths. 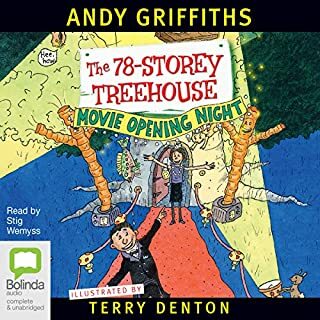 Griffith's best-selling children's stories are brought to life as audiobooks by accomplished Australian television and theatre actor Stig Wemyss. 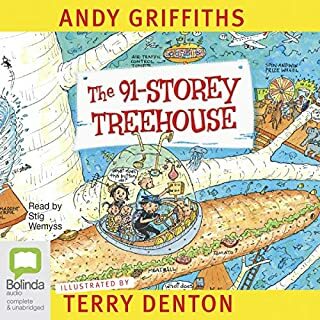 In Griffiths’ award-winning Treehouse series of children's books we join the adventures of Andy and Terry as they ride in dodgem cars, take over a skate rink, and visit an ice-cream parlour with 78 flavours – all in their ever-expanding treehouse. 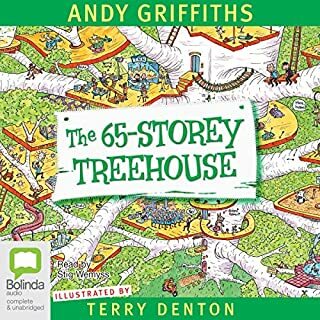 The Treehouse series includes The 13-Storey Treehouse, The 26-Storey Treehouse, The 39-Storey Treehouse, The 52-Storey Treehouse, and The 65-Storey Treehouse. Griffiths was born on 3 September 1961 and has loved writing from a young age. Before becoming a published author, Griffiths worked as a school teacher. During this time he discovered many young people who found books boring. He began writing short stories to make his students laugh and to prove to them that reading can be fun. Griffiths draws inspiration from books, movies, music, and real life. His favourite authors are Dr Seuss, Enid Blyton, and Lewis Carroll. Griffith is the recipient of the Dromokeen Medal for his outstanding contribution to children’s literature and is an ambassador for The Indigenous Literary Foundation and The Pyjama Foundation. He lives in Melbourne with his family. Take the disgusting quiz and find out if this is the right audiobook for you! Do you do any or all of the following: pick your nose, talk in burps, or wee in swimming pools? Do you ever wear the same undies two (or more) days in a row? Do you wish you knew the most disgusting thing in the world? Do you think brussel sprouts are a delicious mouth watering treat? Do you like stories about dead flies, giant slugs, and mysterious brown blobs? Alright, not really funny, just gross and stuff. 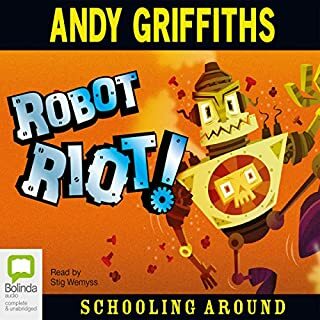 The latest edition to the riotously funny Just series by best-selling Australian children's author Andy Griffiths. Is this the right book for you? Take the SHOCKING TEST and find out. Andy Griffiths has had great success with his Just! 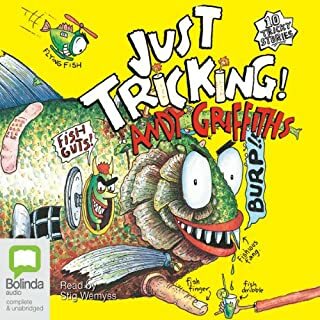 book series — which began with the publication of Just Tricking! The popularity of the books saw the creation of the cartoon series What’s With Andy?, a television adaptation of Griffiths’ Just! books. 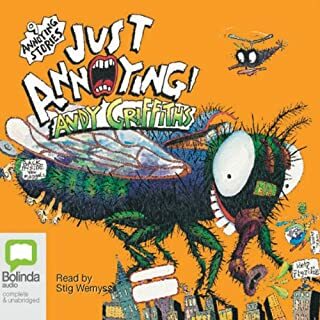 Listen in to these popular audiobooks for kids: Just Annoying!, Just Stupid!, Just Crazy!, Just Disgusting!, Just Shocking!, Just Macbeth!, and Just Doomed!. Proving that he truly understands what fascinates and entertains young boys, in his Bum trilogy Andy Griffiths’ imagines a world where a bum has a mind of its own, getting free of its legs and body to go on all manner of adventures.The Bum series of books includes The Day My Bum Went Psycho, Zombie Bums From Uranus, and Bumageddon The Final Pongflict. The adventures continue in Griffiths' Schooling Around books. Griffiths says that these books are ideal for reading aloud — so whether you're a parent or a teacher, dive on in to the wacky Schooling Around books to uncover a world of excitement and fun that young readers will thoroughly enjoy. "Mr Brainfright is a teacher at Northwest Southeast Central School. He teaches Grade Five and in his class is a student called Henry McThrottle who likes telling stories. That's me. I'm Henry McThrottle and this is my latest story. It's about an evil pencil, a runaway lion, an avalanche and falling out of windows. I hope you like it." This is a very funny book about running, jumping, throwing, winning, losing, cheating, chasing, biting and really hard squeezing. The Robot Riot! Test: (1.) Henry McThrottle suspects that the new girl, Roberta Flywheel, is A: a spy. B: a boy. C: a robot. (2.) Roberta writes in her diary that she is on a mission to A: kiss Henry. B: clean up the school. C: exterminate all humans. (3.) Henry and his friends get Grant Gadget to build A: a treehouse. B: a sand castle. C: a robot-fighting robot. (4.) Grant Gadget's robot-fighting robot malfunctions and A: picks flowers. B: starts telling jokes. C: goes completely out of control. Andy and Danny boldly go where sensible people fear to tread. Just how stupid can two human beings be? Just Stupid! provides the answer to this vexing and important question. Winner of AudioFile's Earphones Award - 2005. Just Stupid is the best book in the<br /> world!! 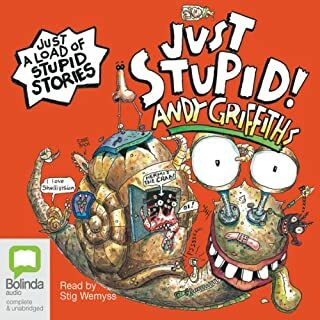 “Just Stupid, by Andy Griffiths, comes alive in this audio version. Stig Wemyss is animated, injecting emotion and energy into his narration, and the addition of both sound effects and music brings the stories alive. 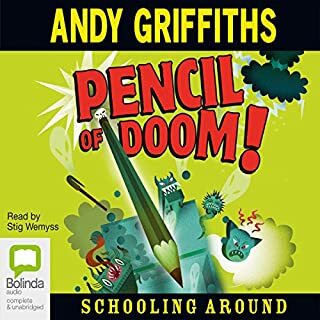 Andy Griffiths knows his audience - children who love a fast paced, wacky story - and this collection of short stories will please them.” David, Audible listener. Treasure Fever from Andy Griffiths’ Schooling Around book series is the solution to your next school holiday car trip – keep the kids entertained and laugh along with them as you join Henry McThrottle in uncovering a thrilling secret about the hidden treasure… buried somewhere at his school! “Laugh out loud for all the family. On a long road trip we listened to Treasure Fever. The adults were laughing so much - it was hard to keep driving. We all got the giggles. Simple story, but clever characters. Every single one of them was at your school too.” Catriona, Audible listener.